I sadly wasn't able to catch World Party this weekend. My pal George A. Paul did and you can read his full report on Music Minded here. During a Glastonbury performance of the White Stripes tune "Cannon," Jack White included a good chunk of Metallica's "Enter Sandman." You can watch it courtesy of Spin here. Is it really possible? Is Phil Collins considering coming out of retirement? Stereogum has the latest here. The Who are set to celebrate their 50th anniversary with another tour. NME has the scoop. 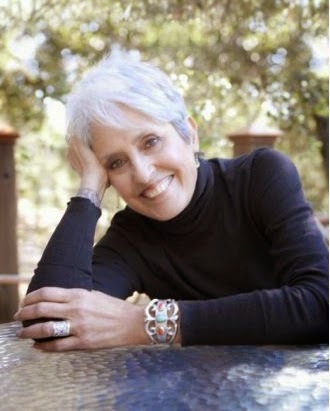 Joan Baez is coming to the Greek Theatre in Los Angeles this week. The Orange County Register has an insightful preview on the legendary folk singer you can read here. 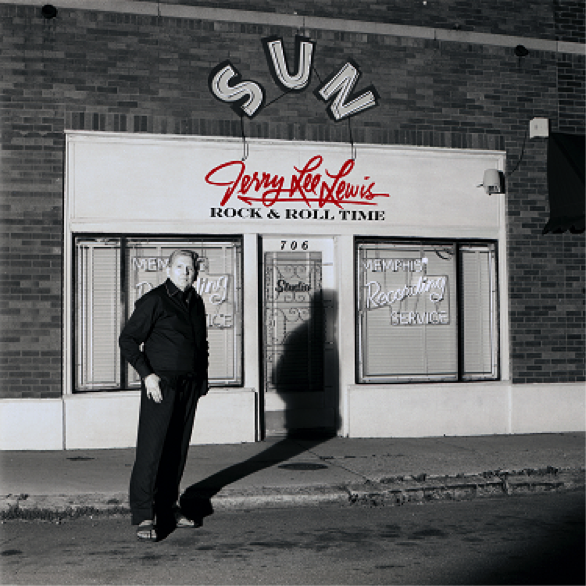 Finally, legendary rocker Jerry Lee Lewis is set to release a new album aptly titled Rock & Roll Time on Oct. 28, 2014. The collection will feature a mix of newly-recorded classics and will find Lewis joined by the celebrated likes of Keith Richards, Neil Young, Ron Wood, Robbie Robertson and Nils Lofgren. Currently, Lewis has two upcoming concert dates scheduled: on July 5, 2014 he will be performing at Harrah's Resort in Valley Center, CA and on Oct. 30, at B.B. King's Blues Club and Grill in New York. Visit www.JerryLeeLewis.com for all the details. 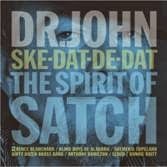 Dr. John is set to issue a new tribute titled Ske-Dat-De-Dat...The Spirit of Satch. The New Orleans musical legend will pay tribute to fellow Crescent City icon Louis Armstrong with his new disc, set for release on August 19, 2014 on Concord Records. The six-time GRAMMY-winning Dr. John will be joined by Bonnie Raitt, the McCrary Sisters, Shemekia Copeland, Blind Boys of Alabama and more. Singer-songwriter Tyrone Wells will perform at Pala Casino for a concert benefiting the Oak Grove Center for Education and the Arts tonight, Friday, June 27. Visit www.palacasino.com for more information. Graham Nash has a feeling it might be time to redo 1970's epic Deja Vu. Check out this interesting story on the USA Today site. Robert Plant's new album, lullaby and... The Ceaseless Roar, will be released September 9, 2014 on Nonesuch/ Warner Bros. Records. Produced by Plant, the album is his label debut and features 11 new recordings, nine of which are original songs written by Plant with his band, The Sensational Space Shifters-Justin Adams: bendirs, djembe, guitars, tehardant, background vocals; John Baggott: keyboards, loops, moog bass, piano, tabal, background vocals; Juldeh Camara: kologo, ritti, Fulani vocals; Billy Fuller: bass, drum programming, omnichord, upright bass; Dave Smith: drum set; and Liam "Skin" Tyson: banjo, guitar, background vocals. 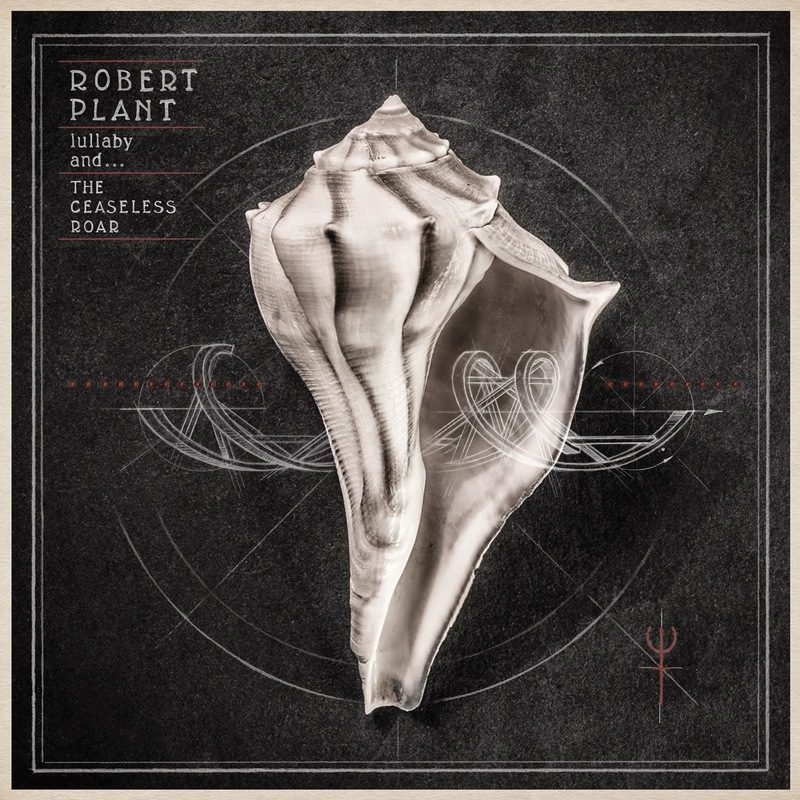 Pre-orders are available at robertplant.com and include a limited-edition print and an instant download of "Rainbow," which will be released as a digital single on June 24. The track is streaming now at NPR Music. A trailer for the album is available now. You can get many more details on Plant and his upcoming project at George A. Paul's Music Minded blog here. Say it ain't so! Joan Jett is really set to appear on a Lifetime network movie (Big Driver, based on based on Stephen King’s horror novella,). Read more here. Can you believe The Knack's "My Sharona" is really 35 years old? The song ultimately took on far more significance than anyone would have realized back in 1979. Read the full story here. Finally, watch Conor Oberst perform a Tiny Desk set courtesy of NPR here. 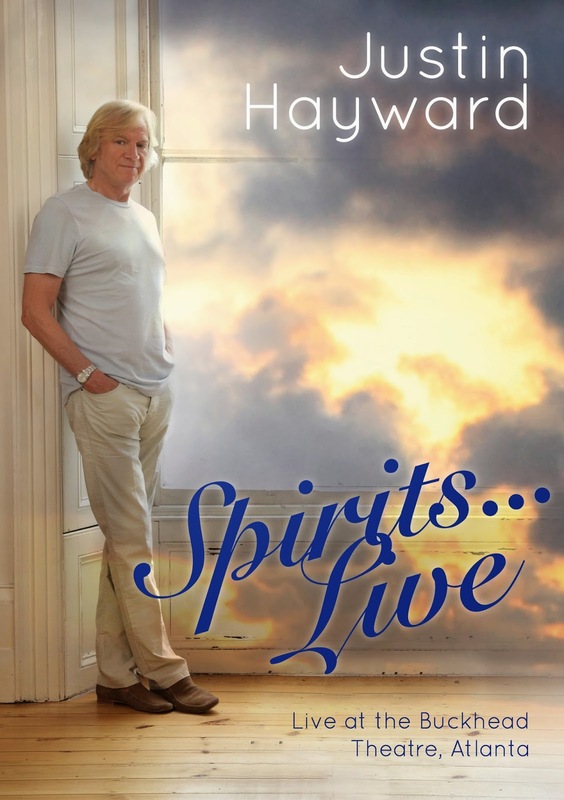 On August 19, 2014, Eagle Rock Entertainment will release Justin Hayward’s Spirits…Live – Live At the Buckhead Theatre, Atlanta on DVD, Blu-ray, CD, and Digital Formats. In addition to the full concert, the DVD and Blu-ray will also feature a behind-the-scenes featurette, allowing fans “backstage access” with Justin and his band. For more than 40 years, Hayward has performed and recorded with The Moody Blues, during which the group has sold more than 60 million albums. Penning such timeless tunes as “Nights In White Satin,” “Tuesday Afternoon,” “The Voice,” and “Your Wildest Dreams,” Hayward’s songwriting has been a driving force in the band’s success. He continues to thrill fans worldwide, and recently completed a tour of the US. My review was originally posted on The Orange County Register Web site on Sunday, June 24 and appears in today's print edition of the newspaper. I have also included some photos I took at the June 21, 2014 concert. Christian music lovers were treated to a full afternoon and evening of spirited performances Saturday, June 21 at Fishfest at Verizon Wireless Amphitheater. The annual event, sponsored by radio station the Fish (95.9 FM), offered a characteristic mix of established and up-and-coming artists, while a large entry area featured representatives from charitable organizations, games and activities, merchandise and food booths. 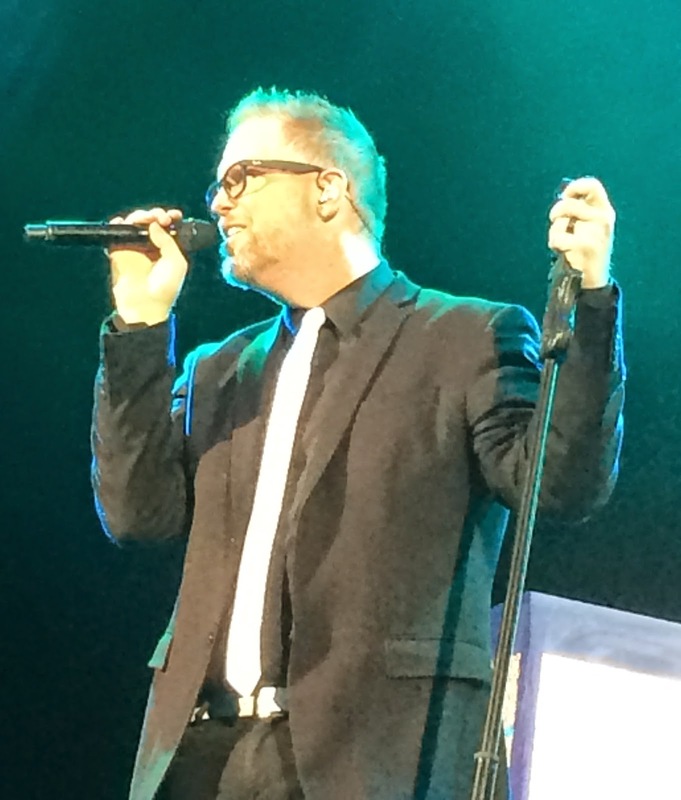 Headliner MercyMe’s 70-minute set included not only the band’s well-known hits, but a number of songs off the new release Welcome to the New. All were delivered powerfully, with lead singer Bart Millard offering extended spoken introductions to select songs to provide additional details on their creation. The Muse-style rocker “A New Lease on Life,” the Motown mining “Wishful Thinking” and the New Wave-minded “Welcome to the New” (which segued into Katrina & the Waves’ “Walking on Sunshine”) were among the standouts of new songs played early in the set. The group’s biggest hit, “I Can Only Imagine,” started as a lovely piano ballad before the song gradually built momentum and power on the way to a powerful finish. Another new song, “Greater,” boasted a modern country feel while “Move” allowed band members to celebrate their faith with an infectious dance groove. MercyMe closed its fast-moving set with “Shake,” a wonderful song that started with a capella gospel vocals before it quickly sped into an infectious groove that had the capacity crowd moving. Jeremy Camp’s musical style was not nearly as wide-ranging as that of MercyMe, but the popular singer-songwriter performed his praise-style pop-rock with a sincerity that connected with the audience. “Shine” and “My God,” the two songs that launched his set, were powerful and uplifting. He aptly closed out his hourlong outing with the stirring “Overcome,” a richly layered song that boasted symphonic power during which he used his powerful baritone to proclaim his faith. Artists performing earlier in the day, notably Tenth Avenue North, met with similar success. Although the five-member band hails from Florida, its sound and approach comes across a combination of early U2 and Switchfoot. Singer-guitarist Mike Donehey has an infectious personality and ran into the crowd several times, elevating the power of the outfit’s set. The band’s hour-long show featured crowd favorites like “Strong Enough to Save” and the modern rocker “Love Is Here.” A new song, “No Man Is an Island,” was another standout, with Donehey delivering an almost-spoken intro before its real power emerged, complete with big choruses. Even more sonically adventurous was Plumb (the moniker for singer Tiffany Arbuckle), who made the most of her 30-minute slot with gems like the melodic heavy rockers “Cage” and “Stranded,” as well as the decidedly different electronica song “I Don’t Deserve You,” the latter especially impressive as she pushed her soprano to its upper reaches. She closed with “Need You Now (How Many Times),” in which she sang tenderly in the more quiet verses while again allowing her voice to soar in the electronica-tinged choruses. THE LATEST RELEASE IN THE TODD RUNDGREN ARCHIVE SERIES! London, UK - Esoteric Recordings are pleased to announce the release in the Todd Rundgren Archive series. 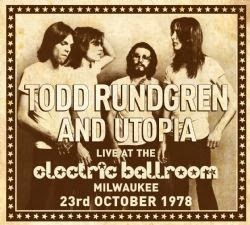 "Live at the Electric Ballroom” was recorded in Milwaukee on the 23rd October 1978 and captures Todd Rundgren and Utopia in fine form. Recorded for an FM radio simulcast, this concert has remained in the vaults until this two-CD release which features the entire concert. Featuring such classic material as “Real Man”, “Can We Still Be Friends”, “Black Maria”, “The Seven Rays”, “Couldn’t I Just Tell You”, “Hello, It’s Me” and many more, the concert has been mastered from the original broadcast tapes. This Esoteric Recordings release features an illustrated booklet with new essay notes. PREVIOUSLY UNRELEASED TWO CD SET OF TODD RUNDGREN & UTOPIA’s ENTIRE CONCERT AT THE ELECTRIC BALLROOM, MILWAUKEE IN OCTOBER 1978! Summer arrives this weekend, so it's time to begin thinking about the Orange County Fair Concert Series. In addition, check out The Orange County Register site to get a complete overview of the upcoming L.A. Summer concerts, featuring the celebrated likes of Shelby Lynne, Gregg Allman, Cults, Stan Ridgway and The Zombies. New York, NY (June 16, 2014)—On July 22 2014, Eagle Rock Entertainment will release Live At Montreux 2013 by ZZ Top on DVD, Blu-ray and digital formats [Pre-book Order Date June 27, MSRP $19.98 Blu-ray, $14.98 DVD]. 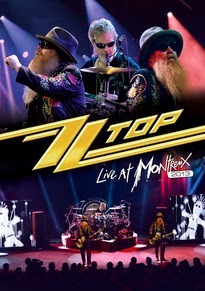 Live At Montreux 2013 is packed with classic ZZ Top hits including: “La Grange,” “Gimme All Your Lovin,’” “Pincushion,” “Sharp Dressed Man,” “Waitin’ For The Bus,” “Legs,” “Tube Snake Boogie,” “Tush,” and many more. The set list blends tracks from early seventies albums such as “Tres Hombres” and “Fandango” through their eighties blockbuster period with “Eliminator” and “Afterburner” and up to their most recent release and return to their blues roots with “La Futura.” The middle section of the concert features a jazz-blues tribute to the late Montreux Festival founder Claude Nobs with guest appearances by Mike Flanigin on Hammond Organ and Van Wilks on guitar. With an unchanged line-up stretching back to 1969, ZZ Top continue to delight fans around the world with their instantly recognizable brand of blues-infused rock and unmatched live performances. Their iconic sound and image has earned the band (singer/guitarist/frontman Billy F Gibbons, bassist Dusty Hill, and drummer Frank Beard) global album sales in excess of 50 million and an induction in the Rock And Roll Hall Of Fame. Throughout their 40+ year career, the band has made a number of visits to Montreux over the years and this concert from the 2013 Festival is undoubtedly one of their finest live performances. ZZ Top’s Live At Montreux 2013 represents that “lil’ ol’ band from Texas’ ” rip-roarin’ live energy – rocking the blues as strongly as ever! For more information regarding this and other Eagle Rock Entertainment releases, contact Carol Kaye at Carol@Kayosproductions.com. Follow us on Facebook athttp://www.facebook.com/KayosProductionsInc. Queen: Live at the Rainbow '74 is coming this fall. (LOS ANGELES, CA – June 16, 2014) Sunday March 31st 1974 is a landmark date in the history of rock music. It is now celebrated in the release of a rare recording made at legendary London venue The Rainbow, of a concert by the then up-and-coming band called Queen. Few who turned up for that iconic performance could have predicted they would go on to become arguably the world’s best and most successful rock group, although many more may have suspected it after this stunning show. Among the unique material contained in this release are over a dozen tracks never previously released on any official Queen live album. The release will come in CD, Vinyl and standard DVD or SD Blu-ray formats available as standard releases as well as special limited edition sets and digital. 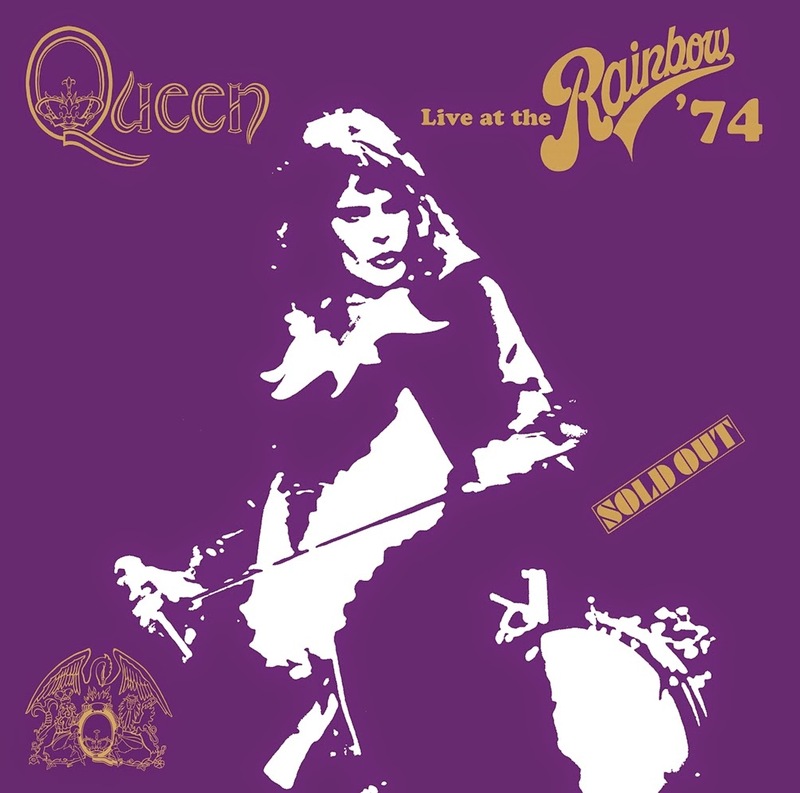 Queen: Live at the Rainbow ’74 will be released on September 9, 2014. That concert, being heard live for the first time in the soon to be released Queen: Live at the Rainbow ’74, marked the culmination of the band’s countrywide tour, their first as headliners - hot on the heels of a tour supporting Mott the Hoople, late in 1973, on which they were widely regarded as having blown the hit band off the stage. Queen got rave reviews, almost unheard of for a support band, and it was obvious that in future they would be top of the bill. Just before the March Rainbow gig, Queen performed their new single “Seven Seas of Rhye” on must-see UK TV music show Top of the Pops. The highly coveted slot was a lucky break - they filled in for David Bowie, who was unavailable - and the band made the most of it, delivering a thrilling performance that pushed the song into the Top 10. Although the group now had a first hit single under its belt, and second album Queen II had just been released to critical acclaim, many felt that playing The Rainbow was overambitious. It was the premier London venue of the time, on a par with L.A.’s Palladium and New York’s Fillmore East. But the band had paid its dues, slugging it out in clubs and college halls for four years, and never doubting their own potential. The band’s confidence was vindicated when the venue quickly sold out the capacity of more than 3,000 seats. Queen’s performance was spectacular from the second that Freddie Mercury strutted onto the stage in his soon to become trademark white “eagle suit,” specially made for him by top fashion designer Zandra Rhodes. He pranced and posed, capturing the audience in seconds with his extraordinary voice and stage presence, while Brian May provided the counterpoint with his remarkable ground-breaking guitar playing. The powerful “engine room” of drummer Roger Taylor and bass player John Deacon completed a sound unlike anything British audiences had previously heard. That electrifying show was recorded by Roy Thomas Baker, co-producer of Queen's first four studio albums, and slated to be the band's third album (and debut live album) - a career defining release like James Brown's Live At The Apollo or The Who's Live At Leeds. Intended to be a recording that captured the magic of a live band firing on all cylinders,Queen: Live at the Rainbow ’74 would undoubtedly have been a big success. But Queen’s ferocious creative momentum produced a stack of new songs begging to be recorded and instead of releasing the live album the band went into the studio to record what was to become their breakthrough album, Sheer Heart Attack. As a result the completed Rainbow live album was shelved and consigned to the archives. Later in 1974 Queen had their first chart-topping single, “Killer Queen,” which encapsulated their brand of driving rock and clever lyrics. It appeared on Sheer Heart Attack, which was released in the autumn, was a massive hit and remains to this day many fans’ favorite Queen album. To celebrate this success and crown a remarkable year, Queen returned to The Rainbow in November 1974 for two sell-out gigs that were even more spectacular than the one in March. These concerts included the typically flamboyant performance of “Now I’m Here” with which they had been wowing audiences on the tour. It featured Freddie apparently appearing in a spotlight on opposite sides of the stage almost simultaneously. The concerts received massive acclaim from fans and critics alike, and won over many who had until then doubted the band’s potential. Now, 40 years on, Queen: Live at the Rainbow ’74 has finally been released, providing an invaluable record of emerging superstars demonstrating their talent. Queen, Hollywood Records and Eagle Rock Entertainment are proud to announce that Queen: Live at the Rainbow ‘74 will be released on September 9th 2014 in a variety of formats all newly mixed and mastered to the highest contemporary standard. These include a standard two CD package, a gate-fold double vinyl (including an updated to current audio standards original live album), and a super deluxe collector’s edition. This comprehensive and fascinating package includes two CDs, a DVD and Blu-ray, a 60 page hardback book containing many rare photographs, and various items of memorabilia such as reproductions of the tickets, show souvenir program and poster, as well as material from the band members’ personal archives. (Full details of the various packages which will be released can be found at the end of this release). Eagle Rock Entertainment will also be releasing DVD and SD Blu-ray editions in North America. These recordings capture Queen at that time in all their glory: the dramatic stage presence, the highly original self-penned repertoire of songs, high-energy performances coupled with stunning melodic and harmonic content, and the uncompromising perfectionist approach to every aspect of their performance which is still maintained to this day. To mark the 40th anniversary of these legendary shows, here, finally, is Queen: Live at the Rainbow ’74 - lovingly restored, edited, mixed and digitally mastered. It is a collection every Queen fan will want to possess. Queen will be touring North America, Asia and Australia this summer with virtuoso vocalist Adam Lambert. The tour kicks off June 19th at Chicago's United Center. Tour dates and ticket information can be found at queenonline.com. · Two disc vinyl, limited edition gate-fold double vinyl package, with one LP featuring an audio reproduction of the original March show live album and the other LP featuring highlights from the November show. 3. A 60 page hardback book containing lots of previously unseen photographs, and (among other items), reproductions of two reviews, one from The Times and one from Disc and Music Echo. A series of four articles from the latter publication is also included. 5. A reproduction of the tour itinerary folder for the March concert from promoter Mel Bush, including a letter instructing the band not to trash the hotel room or there will be dire consequences! 9. A reproduction of a fashion shoot in The Telegraph Magazine, featuring the band with fashion models. 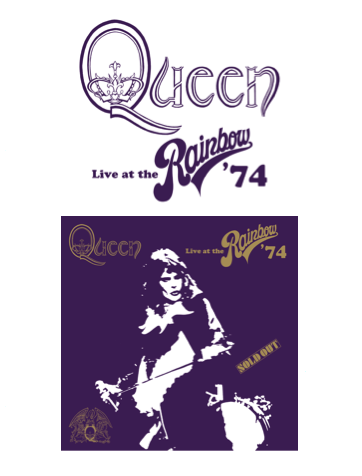 Queen: Live at the Rainbow ‘74 will also be available as a two volume digital release. “The Fairy Feller's Master-Stroke,” (from Queen II) was inspired by a painting by Richard Dadd (1817-1886) which now hangs in the Tate Gallery, having been donated to the gallery by war poet Siegfried Sassoon. The song is by far the most significant rare track on the Rainbow project. The March 31st show was the last time Queen performed it in concert and this is the only known live recording of the song. “Great King Rat” and “Modern Times Rock'n'Roll” (from the first album), “See What A Fool I've Been” (the non-album B-side of “Seven Seas of Rhye”) and “Flick of the Wrist” (fromSheer Heart Attack), are also included on an official Queen live release for the first time.